Is Death Really Something to Fear? Here is a story of Tom Kennard, a 60-year old intensive care patient who went on a life-changing journey during a 3 hour stretch of unconsciousness. To nurses and doctors, Tom’s condition seemed critical, with plummeting blood pressure and oxygen levels, but, Tom’s mind traveled into an alternate dimension where he spent time with his dead father. Tom’s experience included telepathic communication with his father and feelings of calmness and peace. After some time, Tom was brought back to his hospital room by sensations experienced by his physical body, and woke up. Many dying patients are in pain and discomfort, but the ones who’ve experienced near death, such as Tom in the story above, find that once they start crossing over into what’s next, they become very peaceful, even joyful, and free of their physical ailments. 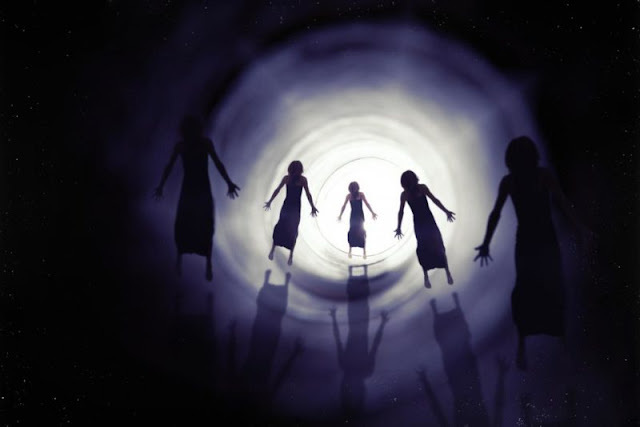 Because of this, a near-death experience (NDE) has a profound effect on most of the persons that have them and often removes their fear of dying. NDEs have also been known to affect people in other ways, such as spontaneously healing either physical or psychological ailments. In Tom’s example, he was able to move his right hand after the NDE, which had been frozen since birth into a claw-like position. This was verified with the hospital admission form and by Tom’s sister, although the doctors didn’t have any rational explanation for the change. Another NDE story is of Fred Williams, a man in his 70s suffering from a terminal heart problem. One night, he became unconscious, and his doctors feared he would die. But Fred lived through the night, and by morning had improved to the point of being able to have visitors. When his family came to see him, he told them that while he was unconscious he was visited in his visions by his deceased mother, grandmother and sister (who he thought was still living although she had died a week prior, unbeknownst to him). The family never told Fred that his sister had passed on. Within a week of his NDE, Fred also died. Yet another NDE story is of Rajaa Benamour, a Moroccan woman in her 30s. Following a bad reaction to an anaesthetic injection for minor surgery, Rajaa experienced a rapid flashback of her entire life as well as, what seemed to her, a review of the creation of the universe. She began to seek a deeper understanding of what happened to her and found that her NDE had left her with a strong knowledge of quantum physics. Although she had never studied the subject and previously knew little about it, she enrolled to study quantum physics at university level and astounded her professors. Rajaa developed then yet unconfirmed theories that have since been verified by others. Is Death All That Bad? Is death really so terrible? When we delay death with machines and drugs are we doing it for the person dying, because of their fear of what is on the other side, or for the other people who want the person to remain in their lives, regardless of the discomfort and suffering of the dying person? The stories above are recollected by British intensive care nurse Penny Sartori in her book The Wisdom of Near-Death Experiences, although some names may have been changed. Sartori has seen thousands of patients die and decided to research NDEs as she started to question why we are so afraid of death and often feel we must do everything we can to delay it. To understand people’s irrational fear of death, Sartori decided to pursue a PhD on near-death experiences while she continued at the ICU at her hospital. Any clear visions and memories that a person experiences when they are close to death can be considered a NDE. These visions are rare, and most people that become unconscious while in a critical condition won’t have them, but people who have lived through a NDE find some parallels: moving down a tunnel towards a bright light; seeing dead relatives; and experiencing out-of-body sensations such as flying up to the ceiling or watching from a corner of the room. Even though these experiences are very rare, and many patients don’t report them because they don’t want to be ridiculed or psychoanalyzed, researchers agree that at least one of these components is present in all NDEs. Other common components of NDEs include: lush green gardens with a gate that symbolizes passing into the other realm – dying; heightened awareness, hearing and sight; and no meaning of time, for example visions that last hours often occur within a few minutes of unconsciousness. Sartori compiled these similarities from letters from thousands of NDE survivors that wrote to her during her studies as her work became public. What Role Does The Brain Play? Sartori offers examples in her book of two NDE survivors who had blood extracted during their NDEs, which showed that oxygen levels were normal. She also argues that for the oxygen theory to be true, all cardiac arrest patients should have a NDE, although her study found that only 17.9% of heart attack survivors in her sample group went through such experiences. – NDEs are a side-effect of high levels of carbon dioxide in the blood; which is unlikely because this would lead to twitching and spasms in the muscles, which does not happen during NDEs. – NDEs are hallucinations, triggered by drugs; which Sartori says isn’t possible because 20% of her sample group with NDEs wasn’t given any drugs. – NDEs are caused by endorphins released by the body at time of death; which is unlikely since visions at time of death are rare, and if this were true everyone who nearly died would experience them. Although Sartori does not have all the answers, her extensive study of the subject has given us a little more insight about NDEs and how they change people. Some similarities in people after they’ve survived a NDE include: decreased fear of dying; spiritual or religious reassessment; better conduct towards others; and sometimes even a reevaluation of their life’s work. Sartori also found other, although less common, quite odd side effects in many NDE cases: sensitivity to electricity, problems with wristwatches to where they do not work, and development of psychic abilities. After 8 years of research and study, hundreds of analyzed cases, and many first-hand experiences in the ICU, Sartori believes there is more to death than mainstream science has recognized. What do you believe? Is there more to the experience of dying, or are all NDE survivors delusional?